The Indigenous Botanicals 60 Day Hawaiian Cleansing & Detox Program is a unique and effective colon cleanse program that has been successfully used for over fifteen years. It has helped thousands of people improve their health by giving them a strong foundation and it is based on traditional indigenous Hawaiian healing principles. The herbal formulations have been combined synergistic ally by hand and include Hawaiian and non Hawaiian herbs. They provide healing and nutritional support for your body as it goes through the detoxification process. The herbal formulations used in the Hawaiian Cleansing Detoxification Program took Dr. Maka’ala Yates, D.C. over thirty years to perfect. This program is based on years of clinical experience and indigenous Hawaiian traditional wisdom. This colon cleanse product is hand prepared using either organic or wild crafted herbs. The main proprietary blend ingredients listed alphabetically are: alfalfa, beet, burdock, barley, activated charcoal, carrot, cascara sagrada, nioi, chlorella, niu, coriander, fenugreek, ginger, papaya, goat whey, grape seed, hyssop, kelp, marshmallow, noni, ‘olena, oat straw, olive leaf, psyllium, rose hips, rosemary, trifala, wheatgrass, lots of love. are: Black walnut, cloves, fennugreek seed, fennel, ohelo, comfrey root, garlic, gentian, hyssop, oregano, peppermint, slippery elm, thyme, ‘olena, wormwood, noni, pumpkin seed, distilled water, alcohol, lots of love. 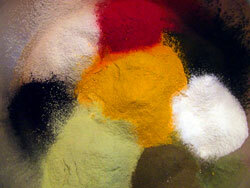 Go to Indigenous Botanicals website, (www.indigenousbotanicals.net), call (541) 301-2896.